← Pops and Clicks – An Easy Fix! 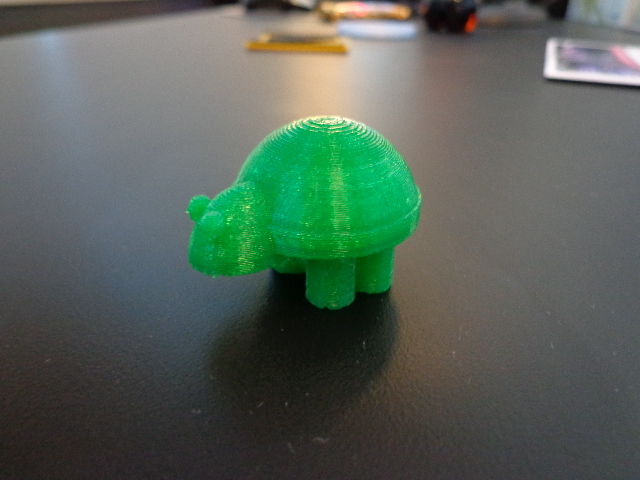 One highlight was the 11 year old who designed a small turtle using Autodesk 123D and then had our Makerbot 3D Replicator 2 print the final piece (in the picture above). What are you going to do in Studio 300 next? This entry was posted in Patron Success and tagged 3D, 3d modeling, 3d printing, creativity, patron project, Studio 300. Bookmark the permalink.